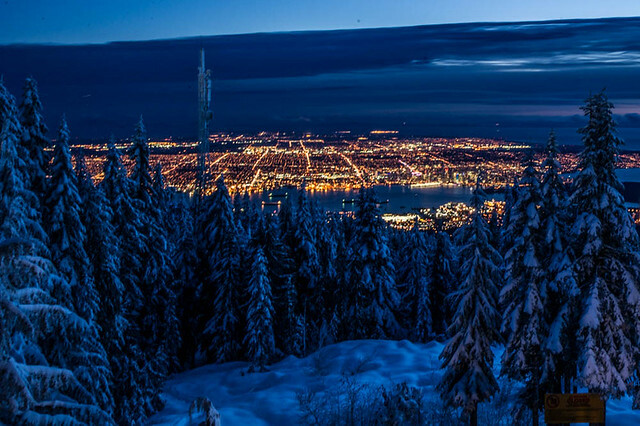 Grouse Mountain is the Peak of Christmas in Vancouver with mountain-top ice skating, skiing, Santa’s reindeer and other snowy adventures with sweeping views high above the city. A fire crackling in the outdoor pit, the scraping of skate blades on the ice, fresh powder falling from the sky, and the aroma of Beaver Tails wafting through the crisp mountain air. 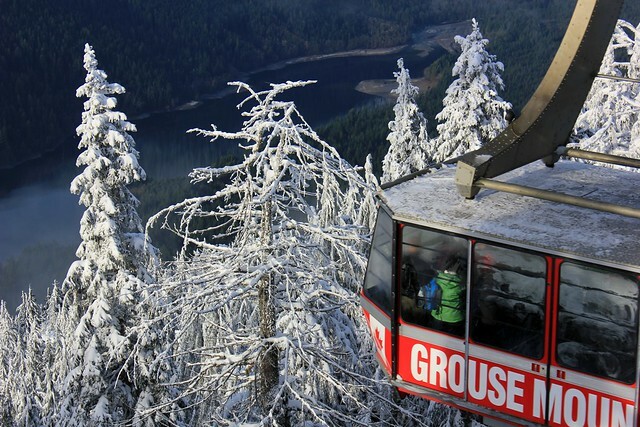 Once you purchase your lift ticket on the world-famous Grouse Mountain Sky Ride you have access to all Peak of Christmas activities, until December 24th, like visiting Santa’s reindeer Prancer, ice skating, Christmas movies in the Chalet, SOS Children’s Gingerbread Village, snowman crafts and tattoos, mountaintop sleigh rides and more. You can also purchase to special events like Breakfast with Santa or Christmas Lunch or head out on a snowshoe adventure. 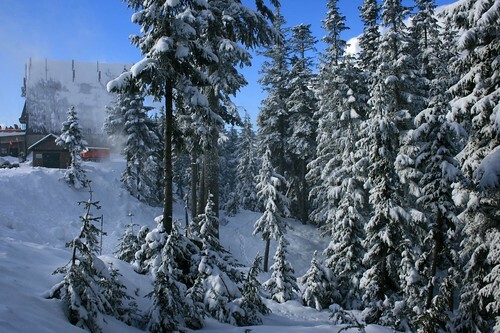 Warm up with a hot chocolate from Lupins or the Grouse Grind Coffee Bar or stop in for a bite at Altitudes Bistro or The Observatory. 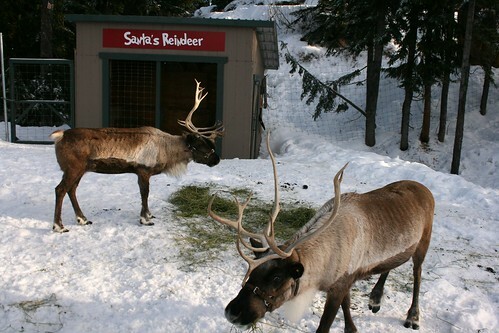 If you would like to experience the Peak of Christmas at Grouse Mountain this season I have a family pass to give away that includes admission for 2 adults and 2 children/youth (under 18) and access to the Skyride, Holly the Jolly Reindeer show, antler making, sleigh rides, Gingerbread Lane, mountaintop ice-skating, Santa’s Workshop and more festive fun. I will draw one winner at random from all entries at 10:00am on Friday, December 13, 2013. Family pass is valid for the 2013 Peak of Christmas which runs until December 24, 2013. 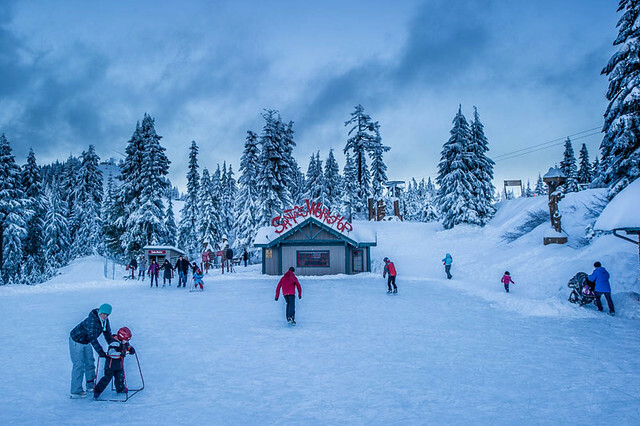 Follow Grouse Mountain on Facebook and Twitter for more information about events, activities, and conditions this season. Update The winner is Vince! Building snowmen with the kids! I’d love to win this! And you can’t beat hot chocolate by the fire. Cross country skiing with my dog! Hockey on a frozen pond. Awesome. Photographing the kids playing in the snow then drinking hot choclate! Looks so beautiful! I’m sure my family would love a day up at Grouse!! I would LOVE this- what a great way to start the holiday! Of course going up on Grouse with my cousins and friends! Building snow forts and sledding! Making snow angels while catching snowflakes on my tongue! My favourite snowy-day activity would have to be SNOWBOARDING!!! Ooooh, it’s a tough call, but outdoor skating pretty much rocks! Tobogganing and making snow angel. Love taking photos in a dreamy Winter wonderland. Just an old-fashioned snowball fight! snowshoeing on snowcapped hilly terrains!! My favourite winter activity would have to be finding snow for my three kids to play in…this usually involved finding a mountain of some sort! My favorite activity was riding the Christmas Tree at Stanley Park with my little kids; but I would love to replace this with Going up to the Peak at Grouse Mountain. oops typo on previous comment Christmas Tree should have been Christmas Train!! I like to just go for a walk with my son and watch him enjoy the snow. My favorite snowy day activity is sledding with my kids followed by hot chocolate around the fire. Going for a walk followed by a cup of hot apple cider. Watching the kids trudging up the hill at the local park with their discs to ride back down. Would be great to take the family up there! building snow men with my son! Snowshoeing and warming up with a hot beverage. Sledding down a steep hill! Snowshoeing is amazing! wow! what a great prize! Wow, this looks amazing, what a fun outing with the family. Gathering a bunch of friends and family to go carolling. Everyone brings a plate of their favourite cookies and we make up plates of goodies to leave at the houses where we sing. (It makes up for the times we are a bit off key.) then ending the evening with something warm to drink. So good to share a little Christmas joy! Hiking with my husband & black Lab, camera in hand. Grizzly bears! They were sleeping when we were there with my grandchildren. Rats! Iceskating and meeting the raindeers! Growing up in Saskatchewan my favorite snowy day activity was being pulled on a tobogan by a Skidoo!! In Vancouver, it’s making snow angels with my daugthers! Tobogganing with a magic carpet!! love to take my parents up! Skating is definitely a favourite in our house! Thanks so much for the awesome giveaway! we love to go snowshoing. Snowshoeing. It’s easy like walking but the scenery is breathtaking. Tobogganing! Got a steep hill I can sled down? Outdoor night skating under the stars & sledding. Walking the dog in the woods! Drinking hot chocolate in a cozy chalet with family and friends. Definitely sledding! I have the best memories of this growing up (despite hitting that tree and the emergency surgery). piling on the snow gear and falling into the snow. I love snowshoe running, especially downhill!